(TRAVPR.COM) UNITED KINGDOM - November 26th, 2013 - If you are looking to arrange your next break – whether it's a last-minute getaway or an early booking for next year – be sure to contact the team at Villa Parade holidays today. With over 15 years' experience in the holiday villa business, they now operate more than 550 stunning properties all across the Mediterranean. 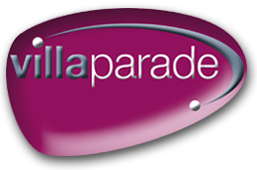 As well as Villa Parade's wealth of holiday villas, their vast experience has enabled them to offer the very best in customer experience. All of this can be discovered by ordering your copy of the Villa Parade 2014 Villa Guide - a vital source of information which can either be sent in the post or downloaded to your computer. While this brochure gives details on all the properties Villa Parade holidays have available, it also describes the many towns and cities you could visit during your getaway, which are perfect to explore for those who don't fancy spending the whole week at the beach. One you have decided on the location of your next family getaway, don't forget to take advantage of one of the great regular offers from Villa Parade holidays, such as enjoying a second week for half price or the highly rated Price Match Guarantee. If you aren't sure which option you should choose, why not call their friendly team on 08444 72 00 40 who will be happy to assist with all your queries?